It’s been a busy offseason for the 10 teams of the National Women’s Soccer League. Yes, that number is still at 10 despite the dismantling of FC Kansas City. The club, owned for only one year by Elam Baer, announced that it ceased operations on November 20, 2017. The main reason that number remains the same is due to the addition of the Utah Royals. Who are affiliated with Real Salt Lake of Major League Soccer. The Royals then hired Laura Harvey to be their first head coach. Harvey previously served as the head coach of the Seattle Reign. The former FC Kansas City club and the Reign did a coach swap, as it was announced that Harvey would be replaced by Vlatko Andonovski. Andonovski was the first, and only, head coach in FC Kansas City history. He led the team to back-to-back NWSL Championship titles in 2014 and 2015. Harvey and Andonovski weren’t the only coaching changes this offseason, though. Sky Blue FC announced that Denise Reddy would take over as head coach on November 15. Reddy was formerly an assistant coach to the Washington Spirit under Jim Gabarra. As Reddy mentioned, her coaching career began with Sky Blue FC back when the Women’s Professional Soccer League was still around. Further down south from New Jersey, the Houston Dynamo added a new head coach as well. 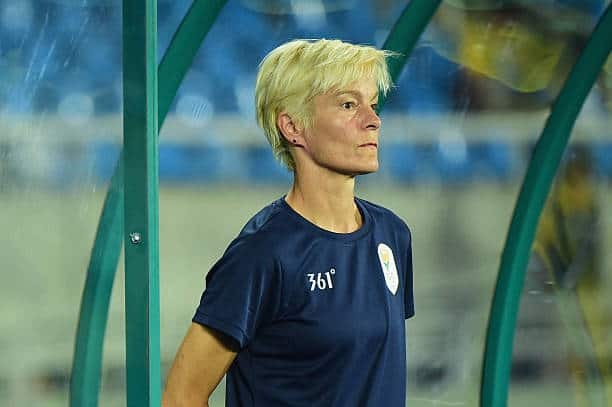 Vera Pauw, whose coaching resume includes being the head coach of national teams from Scotland, the Netherlands, Russia and South Africa, was hired on November 28. Coaches that remained with their clubs include Tom Sermanni of the Orlando Pride, Jim Gabarra of the Washington Spirit, Mark Parsons of the Portland Thorns, Rory Dames of the Chicago Red Stars, Matt Beard of the Boston Breakers and Paul Riley of the North Carolina Courage. A rather busy off-season for coaches in NWSL. Now, Let’s move on and talk about the players, and you’ll see how busy the offseason has been. Here are the biggest signings, trades and head-scratching moves you might have missed this offseason. A complete head-scratcher for almost everyone in the NWSL community. The North Carolina Courage traded defender Taylor Smith and forward Ashley Hatch to the Washington Spirit. In return, the Courage gained the rights to U.S. Women’s National Team player Crystal Dunn and an international spot. Currently, Dunn is in England with Chelsea Ladies. 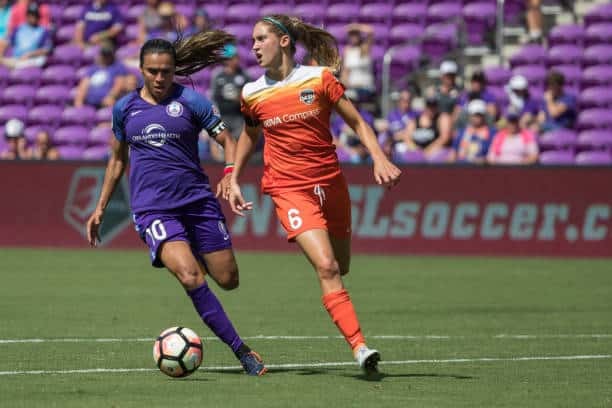 “Bringing Crystal back to [North Carolina] has always been a goal of the franchise, and it’s incredible to see it come to fruition,” Courage coach Paul Riley said. Last year, Hatch won Rookie of the Year honors, beating out Mallory Pugh and Rose Lavelle. Hatch featured in 22 games, starting 13. She recorded seven goals and one assist after being drafted with the No. 2 overall pick in last year’s NWSL College Draft. As for Smith, she’s been a member of the Courage since she started her career. Technically, in 2016, she was a member of the NWSL Championship-winning Western New York Flash. Last year, Smith made 24 appearances, starting 18 matches. She gained attention not just around the league, but at the national team level joining Jill Ellis‘ U.S. WNT. In two separate trades, the Portland Thorns gained some — and also lost some. The first trade completed by the Thorns last week sent midfielder Allie Long packing to a rival club, the Seattle Reign. In return, the Reign dealt Australian international Caitlin Foord to the Thorns. Foord was acquired by the Reign via a separate trade with Sky Blue FC. Long has been with the Thorns since 2016. In the 2017 season, Long appeared in 21 matches, starting 17 games. Long scored two goals and provided one assist in Portland’s NWSL Championship winning season. As for Andressinha, the 22-year-old Brazilian was a member of the Houston Dash since 2016. Like Long, Andressinha appeared in 21 matches, starting 17, where she scored two goals and recorded three assists. FC Kansas City midfielder Shea Groom receives a long pass marked by Portland Thorns defender Meghan Klingenberg during the Portland Thorns 3-0 victory over the FC Kansas City on June 28, 2017, at Providence Park in Portland, Oregon. (Photo by Diego Diaz/Icon Sportswire via Getty Images). 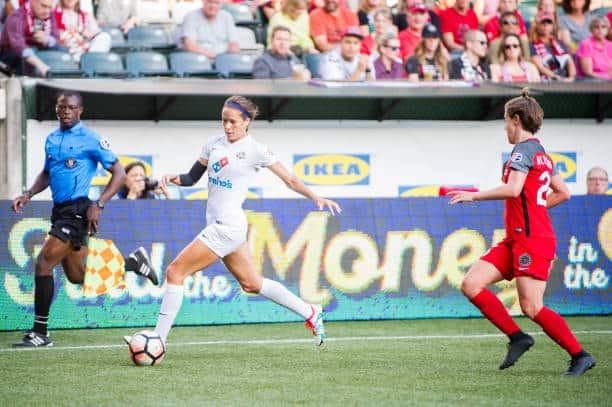 Becky Sauerbrunn isn’t the only U.S. Women’s National Team member of the Utah Royals. Kelley O’Hara, who’s amassed over 100 appearances for the national team, joined the Royals after a trade with Sky Blue FC sent her and Taylor Lytle to Utah. O’Hara has been a member of Sky Blue since 2016. In 2017, O’Hara appeared in 18 games, starting 17. O’Hara primarily featured on defense but managed to score four goals and provide three assists. Lytle, a midfielder, has been a member of Sky Blue FC since 2016. In 21 matches for Sky Blue FC in 2017, Lytle provided five assists. Meanwhile, the Royals sent Shea Groom and Christine Gibbons to Sky Blue FC. Groom had a productive season for FC Kansas City in 2017. Groom started 21 matches out of 22 appearances. She managed to score five goals and also provided six assists. Gibbons spent her rookie season with Kansas City last year and made 24 appearances. She scored one goal and tacked on three assists. Gibbons has been spending the offseason on loan with the Melbourne Victory in Australia. “Groom has an incredible attacking presence and can be a difference maker, especially in the final third. 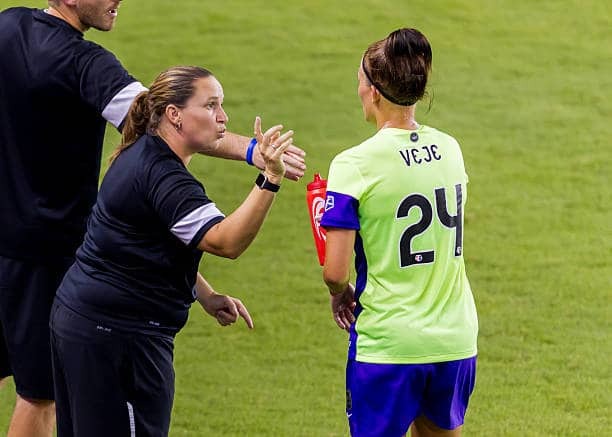 Gibbons has the ability to make a major impact at multiple positions on the field,” Sky Blue FC head coach Denise Reddy said. 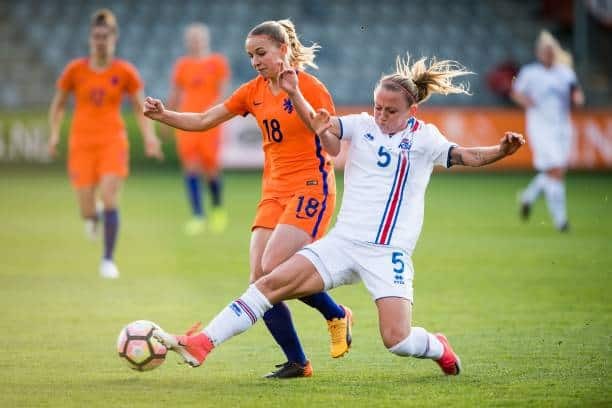 Gunnhildur Jonsdottir has a new home in Utah. After calling Norway home for the last five years, “Gunny” signed with the Utah Royals on Jan. 3. Jonsdottir made 155 appearances for clubs in Iceland and Norway since her career started in 2008. For the Icelandic Women’s National Team, she has made 48 appearances, scoring seven goals. 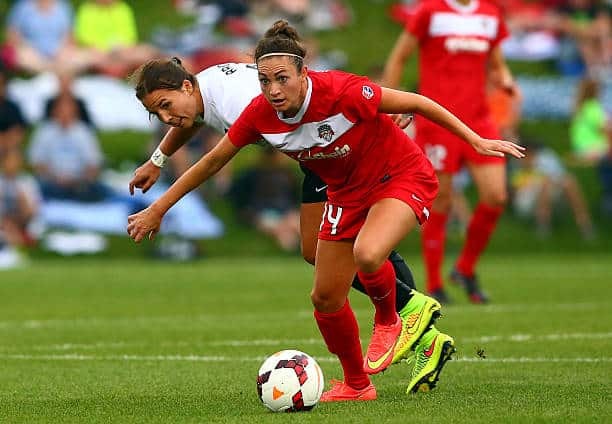 After one season with Arsenal FC, Jodie Taylor is making her return to the NWSL. 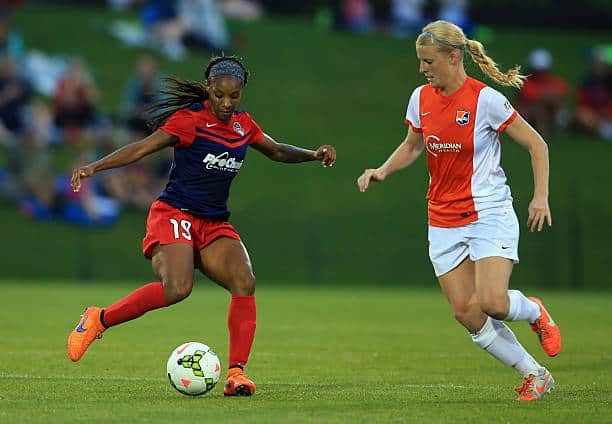 Taylor, an international for England, signed with the Seattle Reign on Nov. 21. She has made 30 appearances for England, scoring 15 goals. With Arsenal, Taylor made 17 appearances and scored a staggering 10 goals. This isn’t Taylor’s first time in the NWSL; Taylor previously featured for the Washington Spirit in 2014 and the Portland Thorns in 2015. The Washington Spirit doesn’t just have the No. 1 overall pick in this year’s 2018 NWSL College Draft, but they now hold the No. 3 pick too. 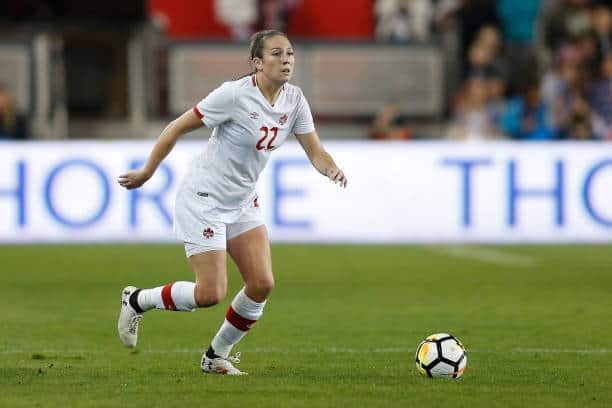 The club traded Canadian forward Lindsay Agnew to the Houston Dash. Agnew, in her rookie season, made eight appearances for the Spirit, starting two matches. She did not score a goal but provided an assist. In addition to Agnew, the Dash received the No. 6 overall pick in the draft, also held by the Spirit. The NWSL has also lost two big-name players. Morgan Brian, of the Chicago Red Stars, and Amandine Henry, of the Portland Thorns, left their NWSL clubs to sign with Olympique Lyon in France. For Henry, who hails from France and has featured 69 times for the France Women’s National Team, the signing with Lyon isn’t unfamiliar; Henry featured for Lyon from 2007-16 before signing with the Thorns. In her first stint with Lyon, Henry made 122 appearances and scored 28 goals. For Brian, this is her first time going overseas, following in the footsteps of Alex Morgan, her teammate on the U.S. WNT. The Red Stars, who traded for Brian, only had two games with Brian, holds her rights should she return back to the NWSL. Those are the big moves you should be informed about before the 2018 NWSL College Draft. The draft will take place on Thursday, Jan. 18, in Philadelphia. The event will begin at 10 a.m. ET. and will be held in the Pennsylvania Convention Center. To see the full list of players that can be selected, click here. If you’d like to view the draft order, go to NWSL’s official website. You can listen to Rachael, Erik Watkins and Sean Garmer each week right here on W2Mnet.com or I-Tunes, Youtube and more on the Soccer 2 the MAX Podcast.